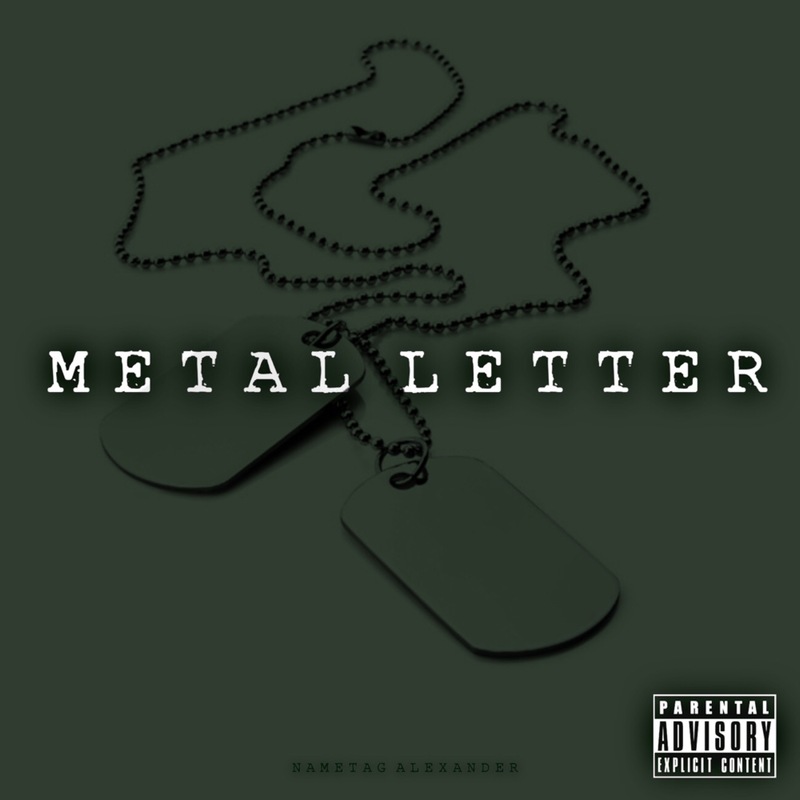 Nametag Alexander has been hard at work on his latest project Metal Letter and is finally ready for a Summer 2016 release. After recording and releasing his single Paper in May of last year, Tag went on to record Metal Letter, entrusting the Executive Producer responsibilities to the man responsible for the anthem-JR Swiftz. Both artists being permanent fixtures in their hometowns (Detroit & Virginia respectively), Metal Letter is a long distance collaboration between a veteran emcee and a young, hungry sound-smith dually dedicated to testing the limits of where hip-hop can go. 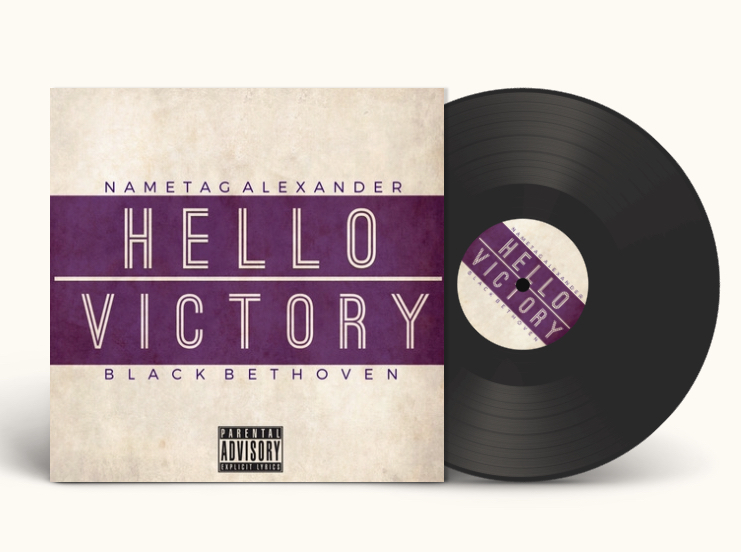 Never one to take himself too seriously, Nametag finds himself right at home over Swiftz booming & melodic production as he drops bars on a range of topics that are as diverse as his flows. 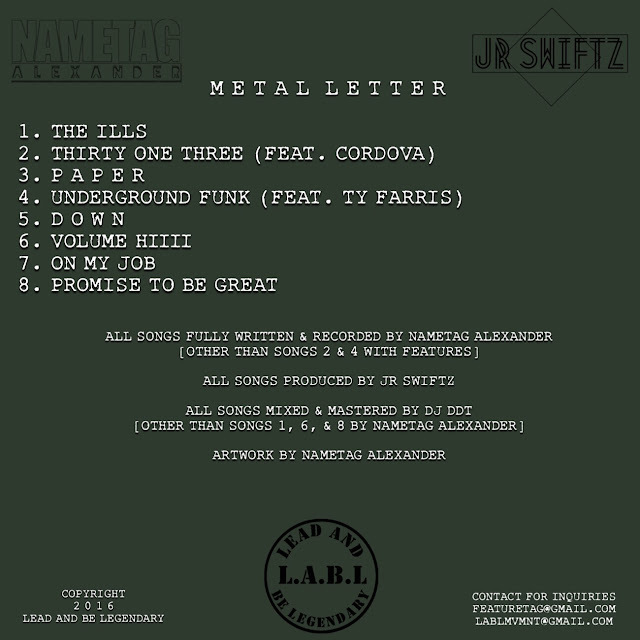 Whether it's a gritty homage to the good & bad of his hometown on "Thirty One Three", taking the forward approach with a woman on "Down", or the summer time banger & latest single "Underground Funk", the time-tested rhymer/producer tag-team wins again as Nametag Alexander & JR Swiftz bring you Metal Letter, available now on all platforms to stream and download music.